Coupled with proper training and nutrition, bodybuilding supplements can play a crucial role in giving you an upper edge in your bodybuilding aspirations and goals. From whey protein to fat burners, there is a large array of supplements you can use for best results. If you're looking for bodybuilding supplements for sale, look no more. On this page, you'll get a list of products you can use to build muscle fast. 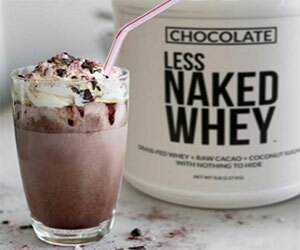 Whey Protein - Whey protein is clearly the most popular supplement on the market today. Whey is derived from milk which is 80% casein and 20% whey. During the conversion process of milk to cheese, whey is extracted. 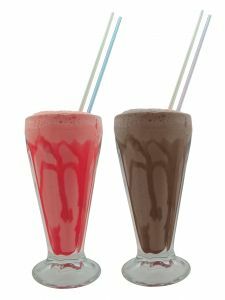 Whey protein is a powerful muscle builder, fast-digesting, highly versatile and can be used in protein smoothies, shakes, breakfast, post workout you name it. Casein Protein - Casein protein is a slow-digesting protein and can feed your muscles with amino acids for several hours. Casein is pretty convenient pre bed as your body will be without food for several hours during your sleep, so it helps maintain your protein levels and keep your body anabolic. Branched Chain Amino Acids(BCAAs) - BCAAs are naturally found in whey protein but many people find that taking them separately yield better results as the quantity of BCAAs in protein powders might not be too adequate. The 3 constituents of BCAAs are Leucine, Isoleucine and Valine and these are vital for building muscle mass by stimulating protein synthesis, boosting metabolism and speeding muscle recovery. BCAAs can be used pre workout, intra workout and post workout. Glutamine - Glutamine is naturally found in certain foods and it's the most abundant amino acid in the human body. Glutamine is not directly responsible for fostering muscle mass but they act as an anti-catabolic agent and prevent muscle breakdown. Creatine - Creatine is plentiful in protein like beef but to get the recommended daily dosage, you need a high beef intake talk about 2.5 Lbs of beef to get 5 grams of creatine. It is said that between 5-10 grams of creatine per day is enough for most individuals. Creatine supplements are pretty handy and convenient as only a teaspoon yields 5 grams of creatine, hence there is no need to consume that much beef and it comes cheaper too. Creatine is a cell volumizer and draws water to your muscles giving them that fuller and bigger look. It also increases strength, focus and stamina allowing you to push more weights. Creatine can cause dehydration so it's essential that you drink lots of water, at least half a gallon per day. Always ensure you buy creatine supplements having the word Creapure on it as this shows that it's of the highest quality and grade. The micronized creatine variety is also popular. Fish Oil - Building muscle is not only about protein, you also need fats to maximize muscle growth. Not all kinds of fats are good, what you need are healthy fats like monounsaturated and polyunsaturated fats which are omega-3 essential fatty acids. A common way for bodybuilders to have healthy fats is to have recourse to fish oil supplements. Fish oil is primarily rich in polyunsaturated fats and are derived from sources like sardines, anchovies, herring, salmon and mackerel. Multi-Vitamin - Your body needs several kinds of vitamins to function optimally, for example without enough vitamin C, your immune system will weaken making you prone to sickness easier. Vitamins are basically antioxidants and they play a crucial role as well in assisting in muscle building and keeping you energetic. Nitric Oxide(NO2) - NO2 are pre workout supplements and they are best used few minutes before your workout starts. They will give you a more intense workout as they improve mental focus, endurance and strength. NO2 are vasolidators meaning they increase blood flow to your muscles, this is why you'll also getter better pumps while lifting weights. Weight Gainers - For ectomorphs also known as skinny people or hardgainers, taking a weight gainer can help them in their goals. Hardgainers need to increase their calories and weight gainers can help them just do that. Fat Burners - For a ripped physique, fat burners can help you achieve your goals faster provided you also adhere to a proper nutrition. Most fat burners have a thermogenic effect that is the ability to produce heat with metabolic stimulation. Consequently they aid in metabolizing fat as the body needs to burn fat for energy use to cool itself down. Fat burners keep you energetic, focused and alert. Always take the dosage in small amounts first and watch out for any mild side effects if any. Don't take more than recommended dosage. Fat burners should only be used for a certain period of time not for long term use.